Don't be misled to believe that Deer Valley is the only area where savvy investors are parking investment dollars to diversify their portfolios. Park City has some high quality properties with potential for year-round rental demand. In Park City, we see a few properties the represent attractive values for investment-minded buyers looking to maximize their annual cash flow. Hotel Park City is a full-service hotel, conveniently located on Park Avenue as you enter Park City. We have helped a couple of families explore and acquire Hotel Park City condos in recent months. The hotel features meeting rooms, a spa, outdoor swimming pool, Ruth's Chris Steakhouse, and lots of year-round group business like weddings, corporate events, that create demand for rooms in the off-season months. Condos in the Hotel Park City range from studios to 2 bedroom suites. Click here for available condos for sale in the Hotel Park City. "We need 'Deer Valley quality,' but ski-in, ski-out at Park City Mountain Resort for families with snowboarders." Ten years ago when the Silver Star developer released the units, they had to cut off reservations after just a couple of weeks because they received more than 500 reservations for less than 100 units! Now Silver Star is a mature neighborhood with a vibrant commercial core, including the Silver Star cafe and a ski/bike shop. The Sundance Institute relocated it's corporate headquarters from Salt Lake City to the Silver Star neighborhood, where it is the anchor commercial tenant. Silver Star includes town-homes, Village Loft flats, and Cottage homes. 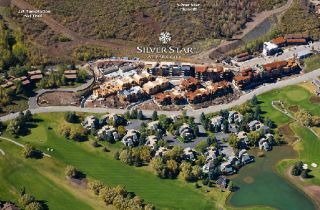 Click here for available condos for sale at Silver Star. You may also want to check out the Waldorf Astoria Park City, which opened in 2009. Like the other properties we have mentioned in this series, luxurious amenities (like the spa, restaurant, and pool area) and conference spaces will help increase your off-season rental demand. Unit sizes in the Waldorf Astoria Park City range from studios to 4 bedrooms. Prices range from $400k to over $2 million. 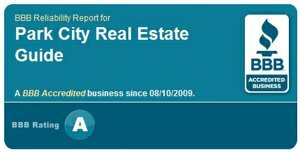 Click here to browse available Waldorf Astoria Park City condos for sale. Disclaimer: Past investment performance is no guarantee of future results. Please consult your legal, tax, and investment managers for professional advice. We provide this information as a courtesy only.